A most spacious and very well presented four bedroom detached family home having undergone improvement by the present vendor and being ideally situated in a cul de sac location backing onto Nature Reserve and being within close proximity of Fleet Mainline Railway Station. An excellently presented extended four bedroom detached family home occupying a corner plot position within the Calthorpe Area of Fleet offering very spacious accommodation, particularly downstairs and being ideally situated within close proximity of local schools and amenities. A most spacious four bedroom detached family home requiring modernisation occupying a large plot extending to approx 58.5m (191'11) x 20.5m (67'3) in this much sought after non estate location close to Fleet Pond. 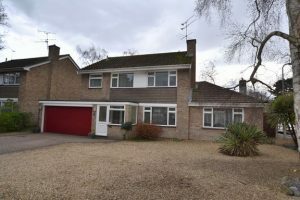 A deceptively spacious four bedroom detached family home requiring modernisation occupying a large mature corner plot in this established area of Camberley. A cleverly extended four bedroom detached character family home situated in the heart of the much sought after Courtmoor area in Fleet benefiting from a large private rear garden backing onto Basingbourne woods. A deceptively spacious four bedroom detached family home having undergone considerable improvement by the present vendors and being delightfully situated in a cul de sac location in Church Crookham with good sized, enclosed rear garden and ample parking and garage to the front. 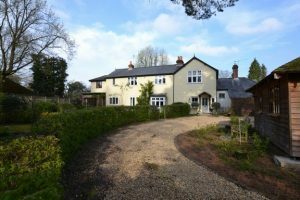 A wonderful opportunity to purchase a beautifully presented property set over three floors offering approx 2,000 sq ft of living accomodation which include's kitchen/diner, lounge family room/dining room and a ground floor shower room. First and second floors offering family bedrooms and bathrooms.